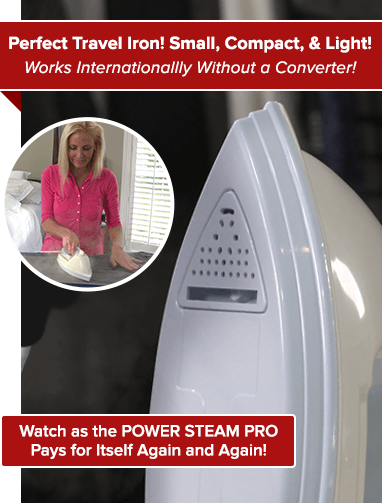 Commercial-Grade Steam in the Palm of Your Hand! 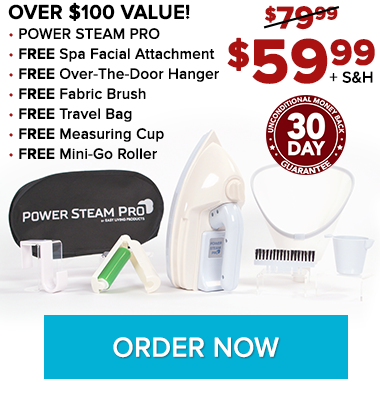 Stop Scorching and Start Steaming! 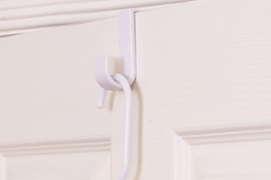 Saves you time & money! 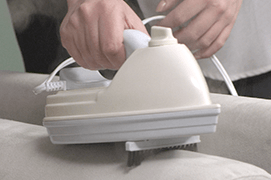 Get professional results at home, without the expense & inconvenience of the dry cleaners. Better for clothes, better for you! 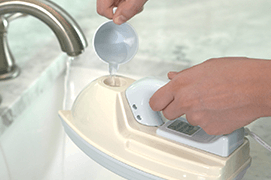 Steams away wrinkles using tap water, never any toxins, dry-cleaning chemicals, or additives, and no salt needed. An upgrade from your iron. 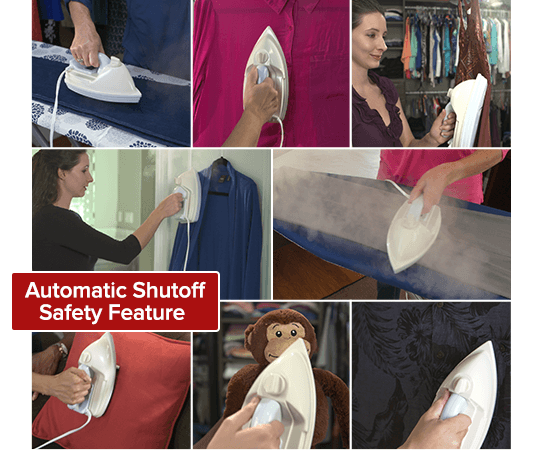 Effortlessly glides over buttons, pockets, and tough fabrics that slow down metal irons. 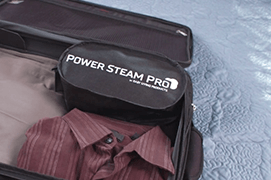 Portable, commercial-quality steam. 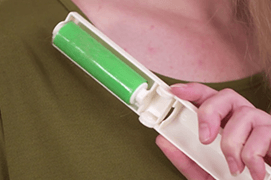 At less than 1 lb, it’s the perfect size for your suitcase – no bulky boards or equipment to store. Eco-friendly, energy-efficient design. 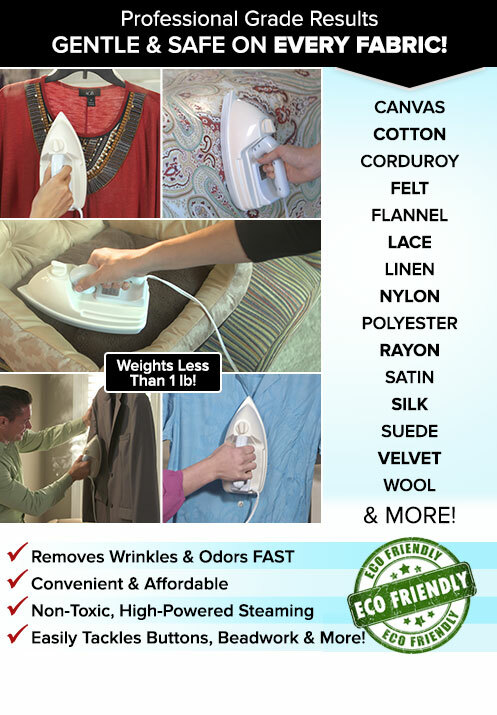 Uses 75% less electricity than ordinary irons. 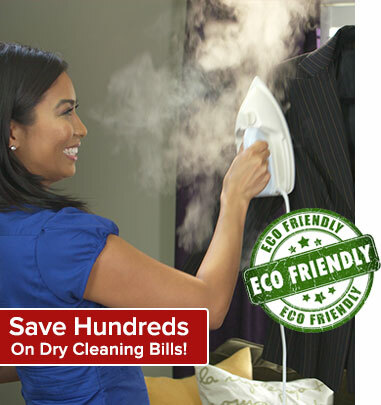 & Save HUNDREDS On Dry Cleaning Bills! Professional cleaners would never touch your delicate, expensive fabrics with a metal iron – so why should you? 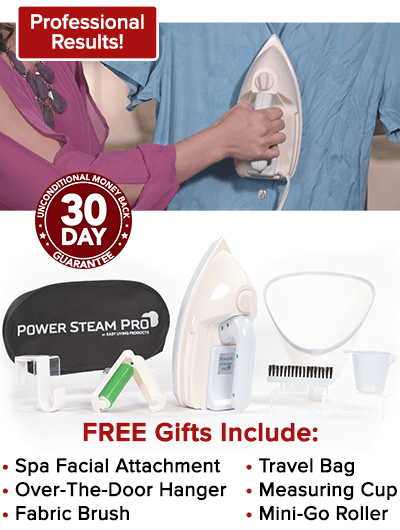 Experts agree that steam is the best way to remove wrinkles without burning, scorching, or damaging clothes. 6 BONUS Fantastic Gifts! ABSOLUTELY FREE! 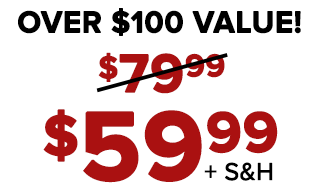 This $20 OFF SPECIAL Is Not Available In Stores!